Best chance: Monsieur Gibraltar. 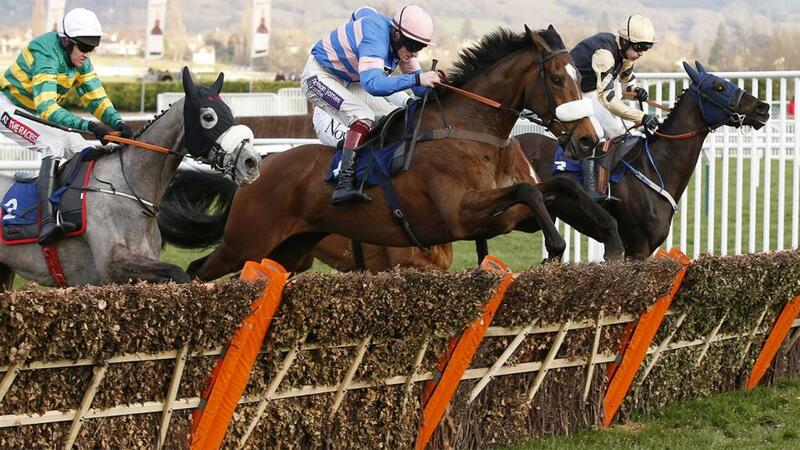 "In top form in point-to-points and his jockey Harriet Tucker gets a great tune out of him." She's not the biggest filly in the world to be carrying top weight of 11-12 against some useful four-year-old's but she has earned her handicap mark of 134 after a series of solid runs. She confirmed her well-being by finishing second to the smart Redicean in the Adonis at Kempton twenty nine days ago. Although it will not be easy for Malaya I expect her to run tidily. He runs here in preference to Cyrname who we are keeping fresh for Ayr next month. Just the two opponents in this for Adrien Du Pont who ran far too free when he was second over this trip at Ascot to a really smart Irish chaser Coney Island. He's a decent horse when he is right and if he settles early on, that is the key tomorrow. It's encouraging that he relaxed for Harry Cobden when he was a good third to Willoughby Court and Yanworth at Newbury. Fair chance if he switches off. He has been in good form and ran really well last time when second to Saint Calvados at Warwick in the Kingmaker on ground that was much too testing for him. Ground conditions will not be ideal for him at Ascot, either, but there is nothing we can do about it. Even so I expect Diego Du Charmil to run well with Bryony Frost taking off a handy three pounds. While I no longer train Monsieur Gibraltar I retain a keen interest in his career as I own a third share in him. We took a bit of time to find the key to Monsieur Gibraltar who has blossomed in point-to-points since switching to Rose Loxton who has worked for me for almost twenty years. He won this a year ago ridden by Lorcan Williams and has since has struck up a good partnership with Harriet Tucker who is still on a high after her brilliant win on Pacha Du Polder in the Foxhunters' at Cheltenham. Monsieur Gibraltar looks to have bright prospects of completing the double.